Clothing/Jewelry Description A blue coat and beige pants. Distinguishing Characteristics African-American female. Black hair, brown eyes. Dobbs's ears are pierced. She may go by her middle name, Michelle. 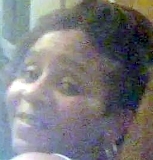 Dobbs was last seen by her live-in boyfriend in Birmingham, Alabama on January 24, 2010. They lived in the 1200 block of 15th Way southwest. She has never been heard from again. She frequented the Smithfield area of Birmingham at the time of her disappearance. Few details are available in her case. Updated 4 times since October 12, 2004. Last updated February 3, 2019; four pictures added.